1-1/4" X 6 Spline weld on X series hub. 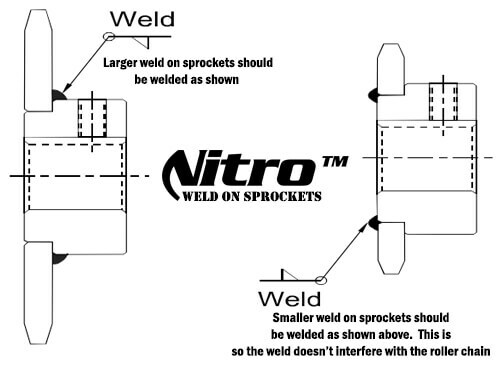 We recommend using Low Hydrogen Electrodes for welding sprockets and hubs together. 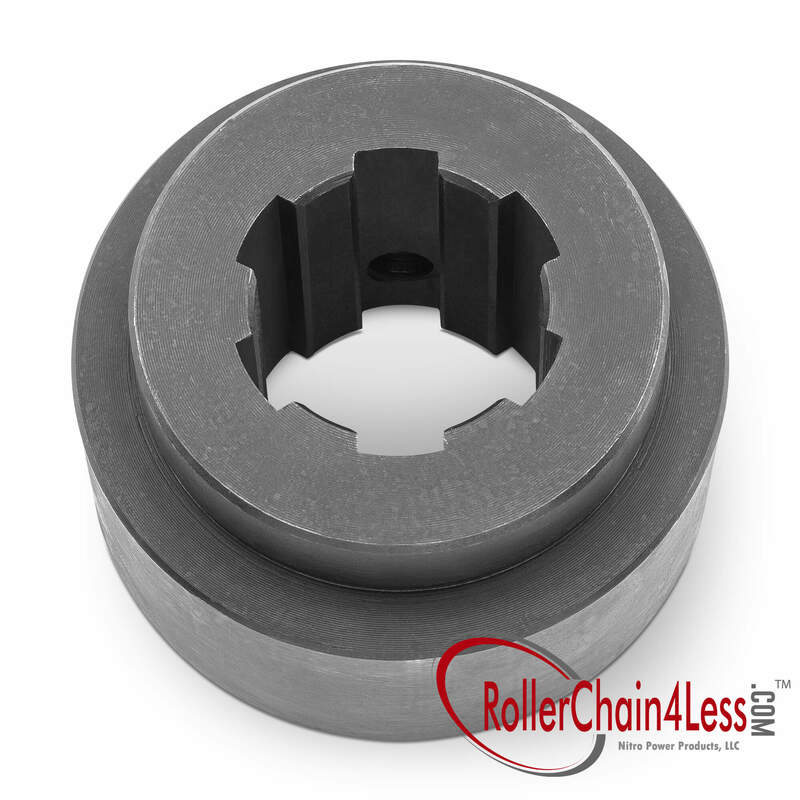 LTB - Length Thru Bore (A): 1-7/16"
It's recommended to use Low Hydrogen Electrodes for welding weld on sprockets & hubs. 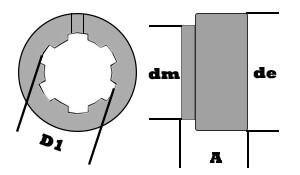 Below is a diagram showing the location to weld on small vs large diameter sprockets.